Delphi’s braking vans will both be out through September and October, aiming to visit 600 garages. The campaign will support of The Parts Alliance’s ‘Best of Brakes’ promotion, which is offering six spectacular holiday prizes. The vans remind customers how they can win 25,000 prizes just by buying Delphi brake pads, with a video hosted by three-time BTCC Champion Matt Neal. Both vans showcase Delphi’s braking range whilst the larger technology van also highlights its many OE supply relationships with global vehicle makers. The intention is to cover 6,300 miles in total, reaching Inverness, Galway, Plymouth, Broadstairs in Kent and a host of places in between. Recent brake testing* suggests Delphi brake pads achieve an optimal balance between the competing demands of high stopping power, low noise and longevity; all adding up to superior quality pads that technicians can install with confidence. 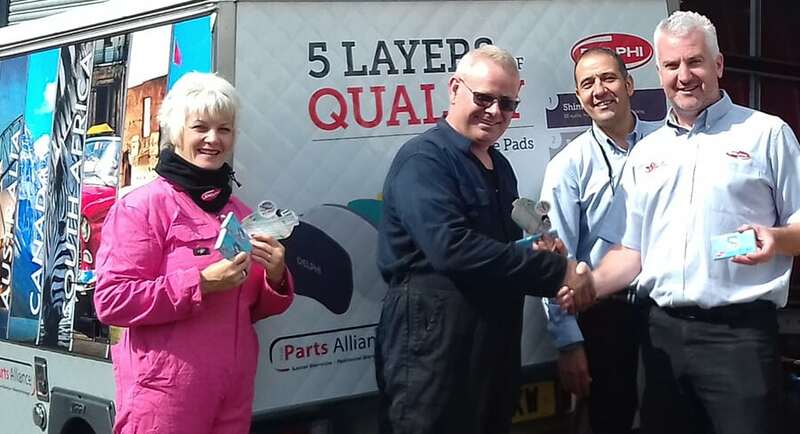 ‘Best of Brakes’ is being supported by Allparts, Bromsgrove Motor Factors, BBC Superfactors, BMS Superfactors, Car Parts & Accessories, CES, Dingbro, GMF Motor Factors, SAS Autoparts, SC Motor Factors, The Parts Alliance (South West) and Qualvecom. Garages can find out more by visiting www.bestofbrakes.com or contacting their nearest participating branch.